Quality Built and Timeless in Style, you’ll feel right at home upon entering the front door of this beautiful house. 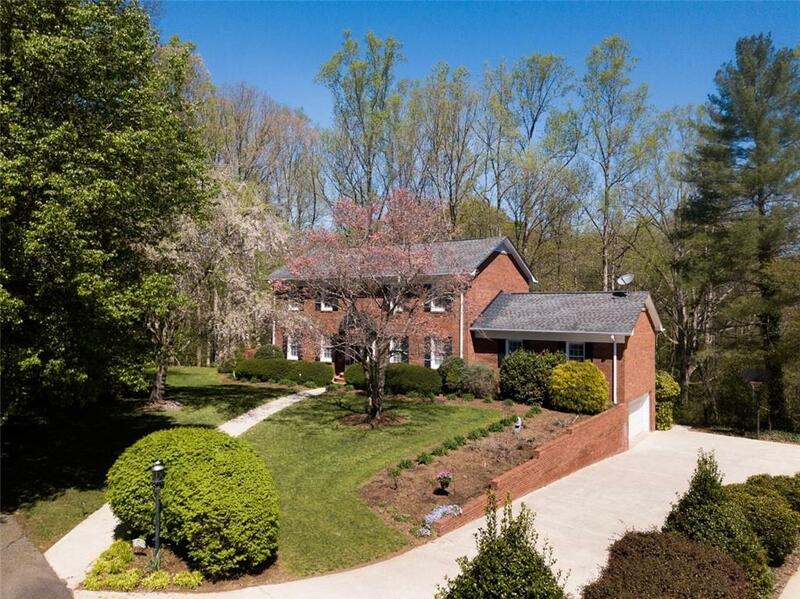 Tucked back at the end of the street on a 1.7 acre lot, this property offers privacy in an established neighborhood. Hardwood Floors, Crown Molding, Built-Ins, Fireplaces, Plantation Shutters, Granite Countertops, Stainless Steel Appliances, Updated Fixtures, Fresh Paint & New Carpet are just a few highlights. If you love to entertain, you’ll really appreciate the lovely brick terrace and spacious screened porch as well as the sizable Great Room, Dining and Den areas. The Master Suite, Laundry Area, Bedrooms 1 & 2 and a Hall Bath make up the 2nd level of the home. The walk-out basement hosts a Rec Room, Full Bath, Additional Bedroom, Mud Room and a 2 Car Garage. Security System & Storage Shed remain! Conveniently located near shopping, restaurants & schools! A MUST SEE!